Don't worry, that post title will make sense. Stick with me here. Regardless, I recently received a small package from Jeff that was jam-packed with cool, new stuff for my collection. The padded mailer covered three separate sports; but, since this blog is rather Cub-centric, let's start there, shall we? 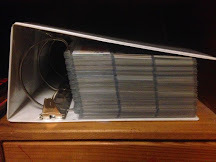 By the way, I tried using a scanner for this blog for the first time with this mailing (that's how much stuff there was; I didn't want to have to take pictures of it all!). As you'll see, I've got to tweak the settings because it cut a lot of the sides; however, you'll get the gist this time through. Moises Alou (he who peed on his hands) was the first player that I officially deemed my favorite in the post Mark Grace era. His knock-kneed batting stance was absolutely fascinating to me as I didn't understand how he could hit the ball at all standing like that. That Alou in the middle might feature an image of Moises at Wrigley, but it's actually an Astros card. I didn't even notice until I started cataloging the cards. Tricky Moises! Also in this grouping we've got a Post Cereal oddball of Slammin' Sammy, a 90's throwback sported by Javy Baez, Kid K, another excellent oddball in that Cramer Frank Chance, a guy who hardly gets any love these days in Ron Santo and a 90's parallel of Ryno. Every single one of these was new to me. Wrapping up the baseball portion of the mailer were these two inserts from 2016 Topps. I did already have these, thanks to a couple of generous mailings from The Card Chop and new kid on the blogging block Andy Stetson (check out Ain't Nobody Got Time for Cardboard, when you get a chance); that said, the fact that several people think of me when they see these makes me all warm and fuzzy. Myron Baker and Kevin Miniefield were both entirely new names to my Bears All-Time Roster Collection; meanwhile, the recently retired Jared Allen, Greg McMurtry and Eddie Royal that were included were my first Bears cards of said players. Although, Royal gets an asterisk, since he's still pictured with the Chargers. I thought Levi Norwood was another new edition; however, I didn't realize that he had been cut before camp broke last season and never played a regular season down. Curses. I didn't realize it when I was scanning these cards in, but that's actually my very first Jeremy Langford card at the top left. I could have sworn that I picked up a single of Matt Forte's successor at the last card show I attended; but, I guess I opted against it at the last second. There's that crappy memory again. Other highlights here include a throwback jersey on Cutler, a cool punting image with Gardocki and one of the few bright spots on the current team in Kyle Fuller. This page here were my favorites of the football bunch. Gale Sayers is criminally underrepresented in my collection and that faux-vintage Topps card is the cream of that crop and Mike Singletary looks downright Big Brother-ish on the Pro Line Portrait next door. We have the current Michigan head coach lookin' pretty patriotic on that Stars n' Stripes card, which is a product I hadn't been aware of until now and the Punky QB to his right is always a welcome sight. Furthermore, that Prestige card of Marquess Wilson looks prestigious enough to supplant the Wilson that had been in my Bears binder. I've made it abundantly clear that I love minor league/college baseball cards and, enough though they're much more prolific in football, my stance doesn't change with the sport. The scan does not do that shiny, green Collector's Choice Jeff Jaeger justice (maybe I should have saved that one for St. Patrick's Day?). However, the best card in this grouping is the Walter Payton, Team 34 card. 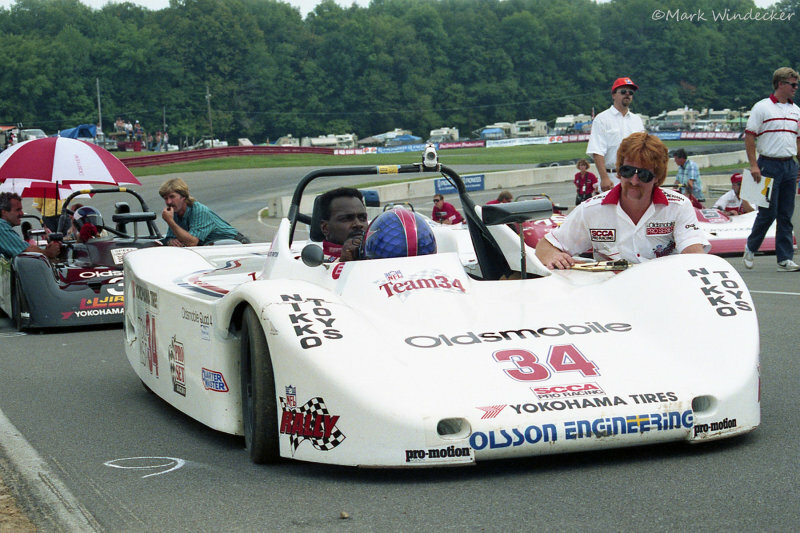 NFL Hall of Famer and professional race car driver... man, what a life! I remember my childhood LCS had a Walter Payton auto racing card on display and my mind was completely blown. I had no idea that the Beariest of the Bears had also dabbled in one of my other favorite sports and actually had a good bit of success. While I wanted that card so very badly, the (overly large) hometown markup kept it well out of my price range. Now, that grave injustice has been rectified. Michael Jordan playing baseball, Ricky Williams playing baseball, Walter Payton driving a race car... sports are weird. Also, see, I told you the post title would eventually make sense! To begin with, we've got a couple of super nice Duncan Keiths. I don't know why, but Prizm looks so much better with any sport besides baseball... probably because of the inclusion of logos, right? Additionally, we've got some love for goalies with the Belfour, Raanta and Crow, along with winger Andrew Shaw. I must say, the photography in Upper Deck's flagship hockey product is absolutely top notch this year! With that, we have reached the end of Jeff's (surprise?) bottomless padded mailer. So much awesome in such a small space; thank you, Jeff! Now, I must remember to get something out your way. Maybe I should make a post-it note or something... or tie a string around my finger... or write a note backwards on my forehead so that I can see it in the mirror when I wake up in the morning... something. Ha....my mind went right to that Primus song and sure enough you put in the post. Jeff is the man. I still have an envelope from him to post as well. Oh Primus, no other bassist can compete with Les Claypool... Awesome cards, thanks for the shutout, and check your email! Payton-Coyne Racing - it's that building you see on the south side of I55 right at the Rt 126 ramp. It's Dale Coyne Racing now, but that was Walter's side hobby. That Payton is such sweet card. That 93t Harbaugh is cool too. Always enjoy seeing a Packers linebacker bearing down on a Bears QB... especially on a trading card.